Modular : The modular dispense head can accept up to 12 easily replaceable chips, each containing eight dispense nozzles. 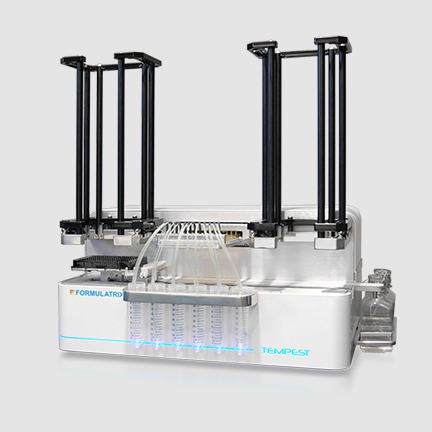 Flexible : The Tempest has up to 12 reagent inputs and supports most SBS plate types while providing robot accessibility and optional plate stacking. Reliable : Dispenses using our proven non-contact microdiaphragm pump technology via positive displacement with minimal risk of clogging. Efficient : The Tempest has a non-recoverable dead volume of less than 40 μL, and a dead volume of 100 μL using pipette tip dispensing.